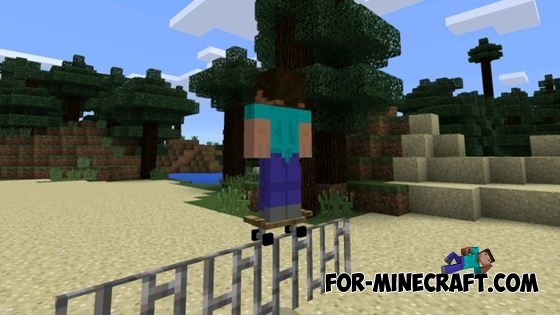 The modification adds a skateboard that looks very cool and realistic. 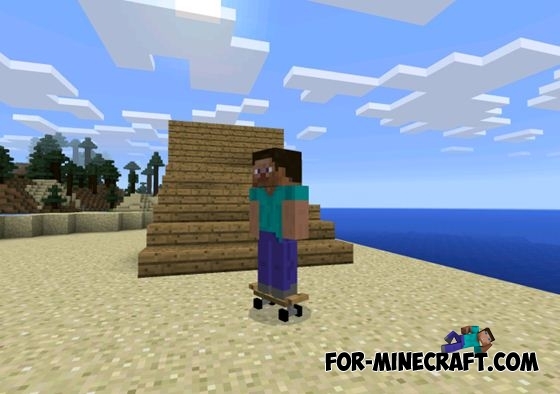 Your character will move around the world about the same as before, but will do so on a skateboard. First, you need to make a skateboard. This will require a two wheels and a few wooden planks. The list of recipes you can see above. Take the skateboard in handand press to the ground. If you have enabled a third person, you will see your character with a skateboard. 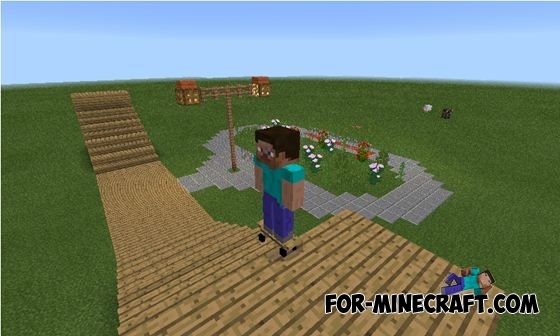 You can build a ramp and make cool jumps and perform other dangerous stunts. 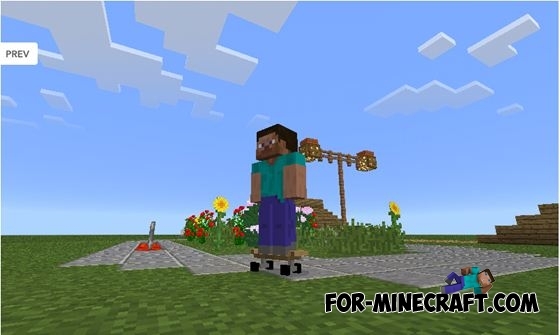 3D Player Model Mod for Minecraft PE 0.10.53D Player Model Mod - modification will give the character more realistic body shape. 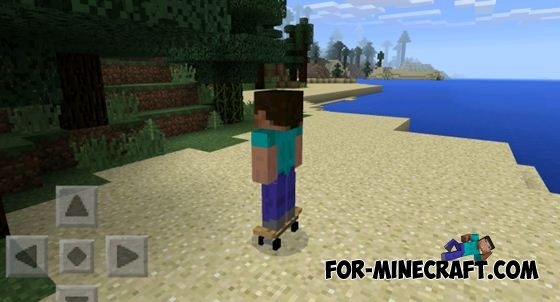 Skateboard Mod for Minecraft PE 0.10.5Skateboard mod adds to the world of Minecraft Pocket Edition, two new vehicles on which you can ride. ???????????? ? ????? ????? ?????????? ???????????? ??????? ??????? ? ????? ????? ????????????? ? ????? ????? ?????????? ???????? ?